Lone Wolf Development announced the release of D&D 5th Edition SRD support for their character management software; Hero Lab. Hero Lab includes everything in the official SRD, such as races and their traits, character classes and class features, spells, equipment, magic items, and other character creation necessities. This initial release offers character creation support, and DM-specific tools, including all monsters and mechanics, will be incorporated throughout the month of February. Hero Lab support for D&D 5th Edition SRD is available on Windows, Mac, and iPad. Current Hero Lab users can add it to their existing license for $20, while new users can purchase it for only $29.99. This price includes all the DM tools and access to community-created content. Wizards of the Coast have announced Curse of Strahd, a new Dungeons & Dragons adventure set in Castle Ravenloft and the surrounding land of Barovia. Written in collaboration with Tracy and Laura Hickman, the authors of the original Ravenloft adventure published in 1983, Curse of Strahd pits players against the vampire Strahd von Zarovich. 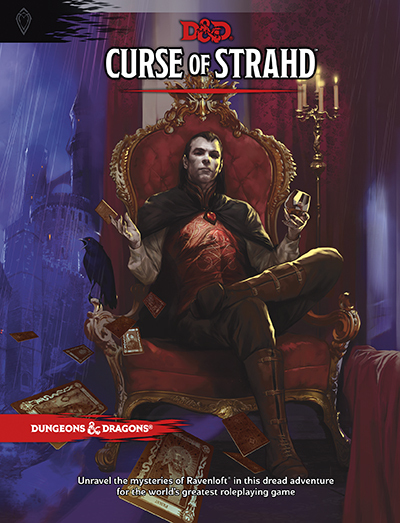 Curse of Strahd will be available to everyone on March 15, 2016. 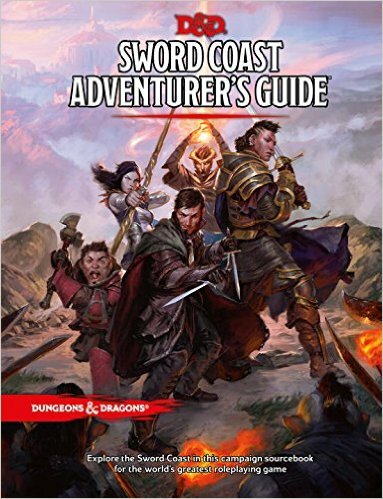 Out now is the Dungeons & Dragons Sword Coast Adventurer’s Guide from Wizards of the Coast. 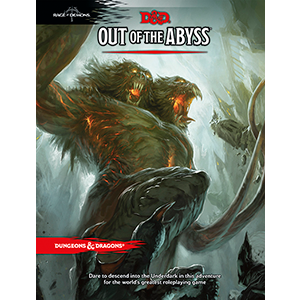 Out of the Abyss is a Dungeons and Dragons adventure for characters level 1-15 and is available now from Wizards of the Coast for $49.95 US. 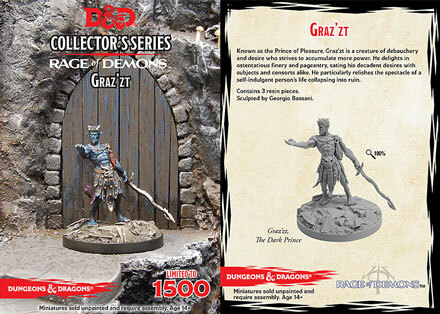 Gale Force Nine has provided a preview of two new upcoming D&D Collectors Edition Demon Lord miniatures for the Rage of Demons adventures, Zuggtmoy and Graz’zt, the Prince of Pleasure. Zuggtmoy’s only desire is to infect and control living creatures, bending them to her will and using them to spread her spores. Zuggtmoy’s cultists follow her unwittingly. Most are fungi-infused to some degree, whether through inhaling her mind-controlling spores or being transformed to the point where flesh and fungus become one. Such cultists are walking fungal extensions of Zuggtmoy’s will. 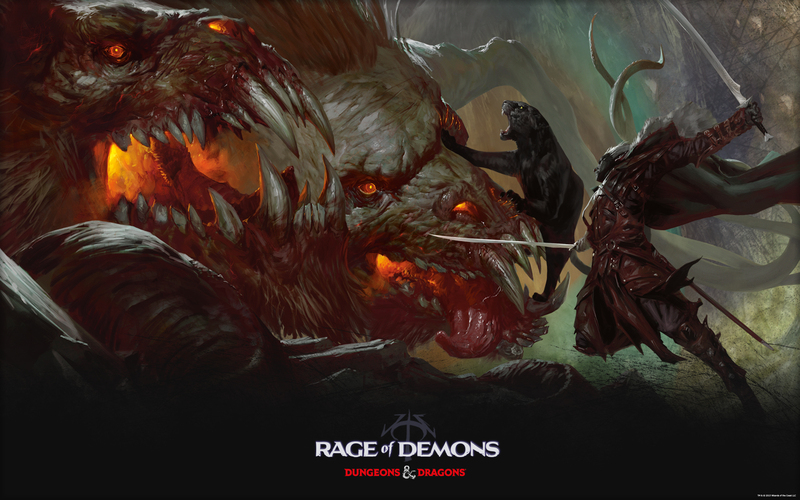 Wizards of the Coast announced Rage of Demons, the new storyline for Dungeons & Dragons fans coming in Fall 2015. The demon lords have been summoned from the Abyss and players must descend into the Underdark with the iconic hero Drizzt Do’Urden to stop the chaos before it threatens the surface. Rage of Demons is the story all D&D gamers will be excited to play this fall, whether they prefer consoles, PCs or rolling dice with friends. 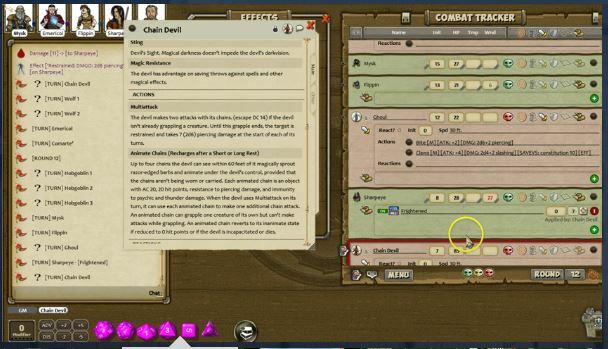 Fantasy Grounds is now letting you play Dungeons & Dragons 5th edition online. They are proud to announce that they are officially licensed to sell D&D source material and content inside of Fantasy Grounds! 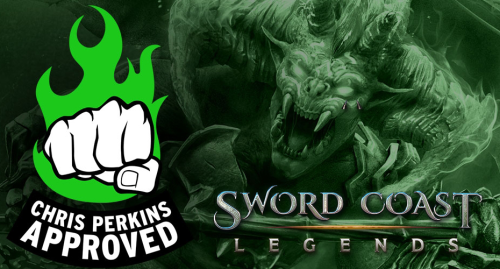 This is the beginning of a great new partnership between SmiteWorks and Wizards of the Coast that will benefit gamers worldwide. You can purchase the D&D Complete Core Class Pack with all the class, feats, spells and equipment or you can purchase individual classes only. 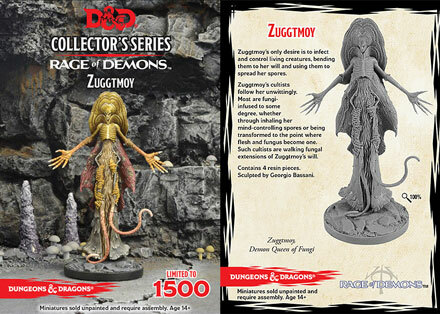 You can also buy the monsters in packs or as the D&D Complete Core Monster Pack. These products have been converted to work really tightly with Fantasy Grounds to give you the best possible gaming experience – we know you’re going to love them. 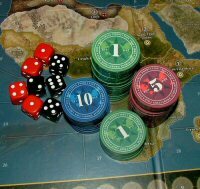 They contain all the great artwork and content from the official products and all the smarts and integration to work with Fantasy Grounds. Not only will you get the same content that can be found in print, but you also get an exciting new Fifth Edition theme, adventures and content customized specifically for ease of play inside of Fantasy Grounds. For Dungeon Masters and players on a budget, you might pick up a Player Customization Pack and one or two Class Packs of your choice. Dungeon Masters can often get by with just the Adventure of their choice and one or two Monster Packs.